Brielle the cat was diagnosed with a thymoma; a malignant tumor on her thymus. 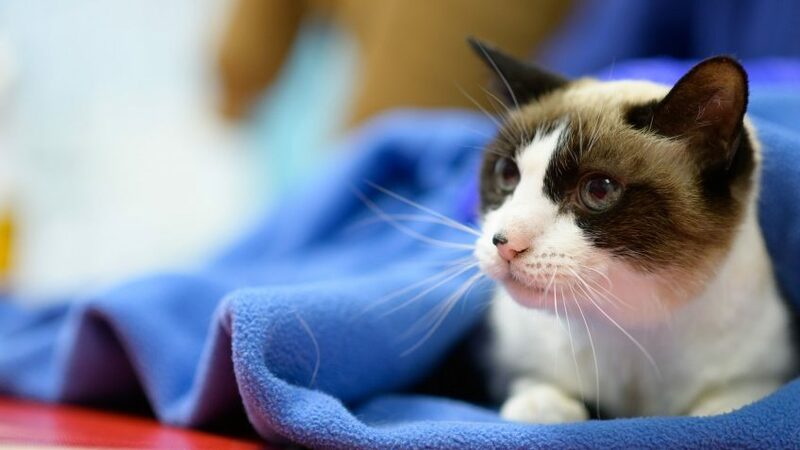 They also have a preference for adopting rescue cats and for the snowshoe Siamese breed. They currently own two snowshoes: Diamond, a male they adopted 12 years ago and a 14-year-old female named Brielle, adopted just a year and a half ago. Bardossy is an advocate for adopting older rescue cats who often go unclaimed. Bardossy calls Brielle sweet, but Pillsbury says that she’s a lap cat with “‘catitude.” “She doesn’t put up with nonsense,’ he adds. Last September, the couple noticed that Brielle would wince and jump when she began to eat. “It was like she felt an electric shock,” Pillsbury says. Brielle was soon reluctant to eat at all. Suspecting a dental issue, they took Brielle to a local veterinary hospital where she had several teeth removed and was prescribed pain medication. The problem persisted. In January they brought Brielle to the NC State Veterinary Hospital for a dental evaluation that revealed a far different problem. Brielle had fluid on her lung and a large mass in her chest. She was referred to the veterinary hospital’s small animal emergency service and later to the oncology service. Brielle was diagnosed with a thymoma; there was a malignant tumor on her thymus. The thymus is a small organ in the upper chest under the breastbone that makes lymphocytes, white blood cells that protect the body against infections. Bardossy and Pillsbury learned that Brielle’s oral discomfort was probably the result of pain caused by this far more serious condition. Brielle received palliative radiation as part of her therapy. Reeling from the finding, the couple soon found themselves discussing potential treatment options with medical oncology resident Carly Stevens. Those included surgery, radiation therapy, palliative radiation and chemotherapy. 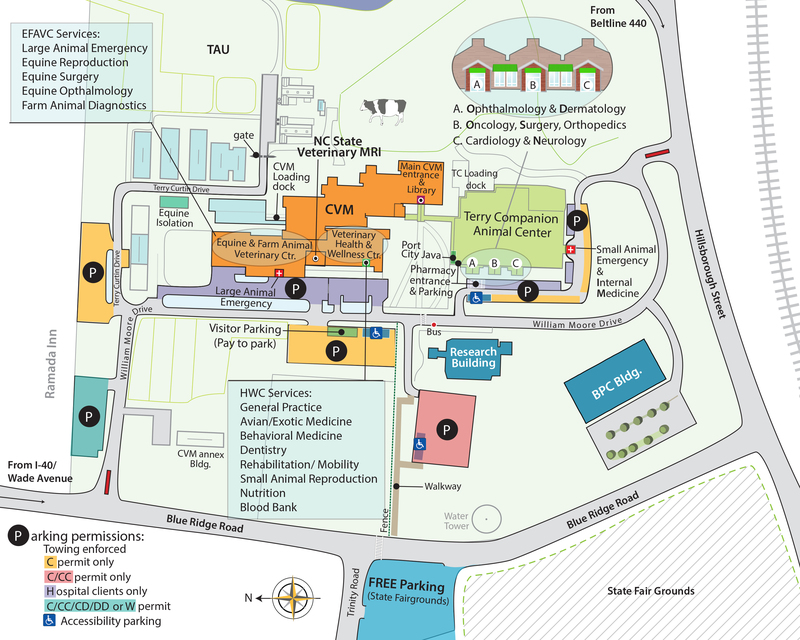 Stevens mentioned that the Petco Foundation has provided NC State with a generous grant to assist pet owners with the expense of cancer treatments. 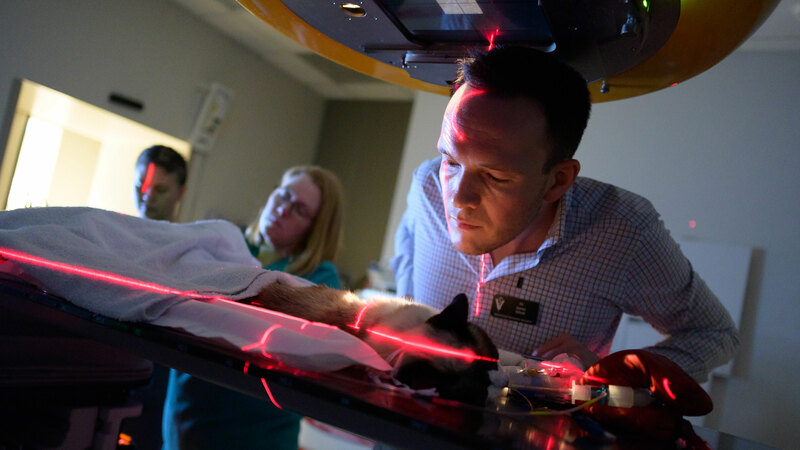 The Petco Foundation has two goals for these grants: putting cancer treatments within the reach of more pets and their owners and advancing the science of veterinary medicine by helping to provide leading veterinary practitioners with more experience treating cancer. The couple opted for palliative radiation for Brielle. Her first treatment was Jan. 22.